We are just barely into 2019, and already there have been numerous food recalls. Our food industry is volatile, and it is imperative that consumers stay plugged into the news of recalls when they happen to avoid sickness and even death. Why do food recalls happen? Food can be recalled due to any number of things including food-borne bacteria contamination, foreign particles in food and undeclared allergens. As soon as a food is recalled, it is removed from the shelf to limit the damage. Sometimes no adverse impacts are reported, and other times it can be deadly. Before we dig into what you need to know now, let’s take a look at what happened in 2018. Keep in mind that this is just a snapshot of recalls. Romaine lettuce – Salad lovers got a real shake-up in 2018. There were three E. Coli outbreaks that were linked to leafy greens. Twenty-five people became ill from an outbreak that began in December 2017. The second E. coli outbreak came in April and was confirmed to have come from lettuce from Yuma Arizona. It is thought that the bacteria reached the lettuce through canal water that was contaminated by cattle farms and cow poop. This was a very serious outbreak that resulted in 210 people getting sick, 96 hospitalizations and five deaths. The third outbreak happened in November. The FDA reports 43 illnesses from this outbreak. Consumers are still cautioned to avoid all lettuce from the central coast of California. Evershing International Trading Company Frozen Shredded Coconut – In January, a salmonella outbreak that spread to nine states made 27 people sick. The outbreak was eventually traced back to frozen shredded coconut that was recalled on January 3. Eggs – LIke lettuce, eggs had a bad year in 2018. There were a number of recalls due to salmonella contamination. 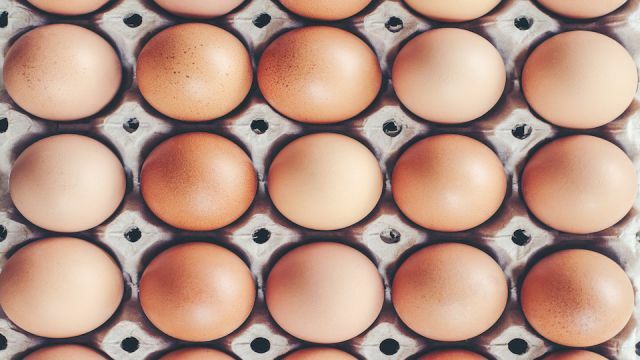 Over 200 million white eggs from Rose Acre Farms in Seymour Indiana were recalled on April 13 after a number of people became ill from eggs produced in the company’s facility in North Carolina. An additional egg recall came from eggs distributed again by Rose Acre Farms that impacted Publix products. It was later found that the farm was infested with mice. Raw Beef Products – In May, a major beef supplier, JBS JSA recalled over 35,000 pounds of raw beef due to potential contamination by hard plastic. The United States of Agriculture’s news release listed the affected products, some of them were sold at Kroger. Canned Pork and Chicken – Fresh food is not the only thing that is recalled. The manufacturer of Applegate, Muscle Milk, Skippy, Spam, and Wholly Guacamole recalled 226,614 pounds of canned pork and chicken products that were thought to be contaminated with a foreign matter. Although the exact nature of the foreign material was not released, the recall came after customers complained of finding metal pieces in the food. Kellog’s Honey Smacks Cereal – According to the CDC, there were 135 illnesses due to salmonella infected Honey Smacks cereal that impacted 36 states. This recall was extensive and even included a Twitter post from the FDA to warn people not to eat the boxed cereal. Frozen Chicken – In September, Wayne Farms recalled almost 500,000 pounds of frozen, fully cooked chicken products because they could contain metal fragments. According to a news release from the USDA, these products were impacted. Ground Beef – Cargill Meat Solutions recalled over 130,000 pounds of ground beef that was contaminated with E. coli. According to a USDA release in September, the outbreak caused 17 illnesses and one death. Spinach – Just a week ago, Whole Foods had a voluntary recall for any products containing Satur Farms baby spinach due to possible salmonella contamination. According to the FDA, the recall impacts eight states. Products included in the recall are salads, pizza, sandwiches and wraps that were sold in Connecticut, Florida, Maine, Massachusets, New Hampshire, New Jersey, New York, and Rhode Island. Golden Medal Flour – Flour produced by General Mills has been recalled for fear of salmonella poisoning. The recall included five-pound bags of Gold Medal unbleached flour with a better if-used-by date of April 20, 2020. The company is urging consumers who have this product in their home to dispose of it. Perdue Chicken Nuggets – Perdue Foods recalled 68,244 pounds of gluten-free chicken nuggets sold worldwide for fear of wood contamination. According to the US Department of Agriculture’s Food Safety and Inspection Service, the Nuggets were produced on October 25, 2018. It is inevitable as 2019 ticks away that there will be more and more food recalls. With so many issues around food safety and nutrition, knowing where our food comes from is paramount to health. Shopping close to home not only ensures you have a healthy and fresh food supply but also that you support your local community. Better yet, consider growing your own food and raising chickens for eggs. It doesn’t get any closer to home than this!